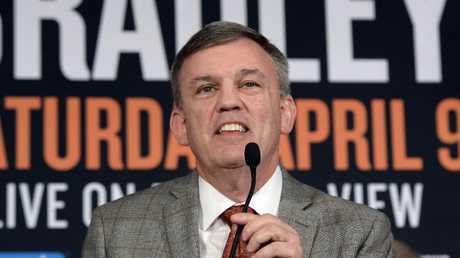 JEFF Horn's family is demanding an apology from loudmouth US commentator Teddy Atlas after the World Boxing Organisation yesterday confirmed Horn's victory over Manny Pacquiao at Suncorp Stadium last week was the correct result. Under pressure from Pacquiao and the Philippines Government - and amid a wave of criticism whipped up by Atlas's biased commentary for the ESPN network in America - the WBO ordered a review of the initial fight decision when three independent judges all voted for Horn. Yesterday, five more independent judges concluded that Horn was a worthy winner. As Melbourne's Etihad Stadium and Sydney's ANZ Stadium make moves to steal a Horn-Pacquiao rematch from Brisbane, Horn left his hometown yesterday to attend the ESPN awards in Los Angeles tomorrow. He said he would not be talking to Atlas at the ceremony.